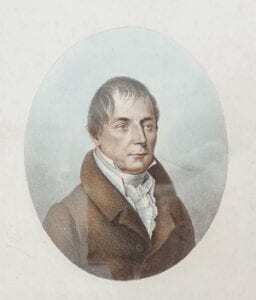 Leopold von Buch (1774-1853) was an extremely distinguished German geologist, paleontologist, and plant geographer, as well as a protégé and lifelong colleague of Alexander von Humboldt. In March of 1815, he sailed with the Norwegian botanist Christen Smith from England to the Canary Islands. 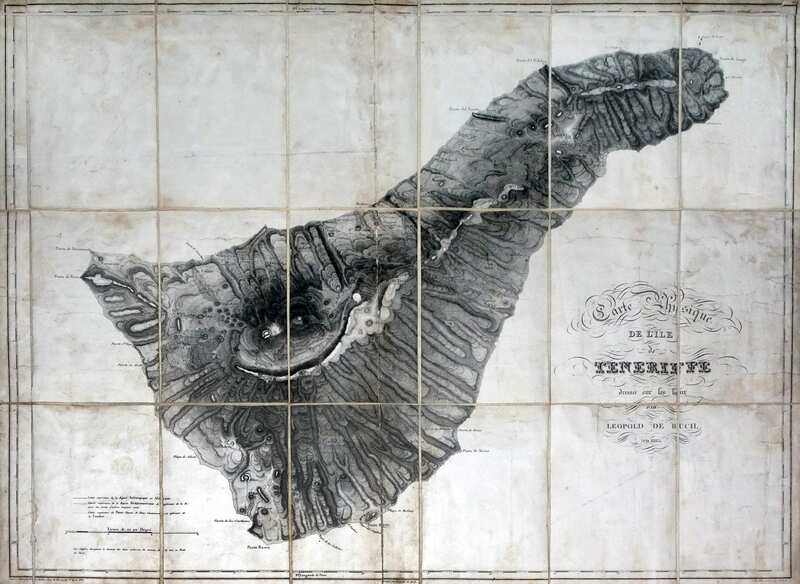 A thorough description of the geology, physical nature, and flora of these islands, Physicalische Beschreibung der Canarischen Inseln, would result and be published in 1825 and subsequently be translated into French in 1836 (Description Physique des Îles Canaries). Importantly, the chapter on the flora of the Canary Islands contains a lucid description of key insights associated with allopatric speciation on continents, as well as an explanation of the origin and diversification of island floras through dispersal of taxa from the nearest mainland, subsequent divergence of varieties, and speciation (with reproductive isolation) through geographic separation. Two early evolutionists, Charles Darwin and Alfred Russel Wallace, read these remarkable passages! “On continents the individuals of one kind of plant disperse themselves very far, and by the difference of stations of nourishment & of soil produce varieties which at such a distance not being crossed by other varieties and so brought back to the primitive type, become at length permanent and distinct species. Then if by chance in other directions they meet with an other variety equally changed in its march, the two are become very distinct species and are no longer susceptible of intermixture.” Wallace then goes on to summarize: “He then shows that plants on the exposed peak of Teneriffe where they can meet & cross do not form varieties or species, while others such as Pyrethrum or Cineraria living in sheltered vallies & low grounds often have closely allied species confined to one valley or one island.” (See Wallace’s December 1860 letter to Darwin).